I always find great ideas on Pinterest. And then I forget to try them. 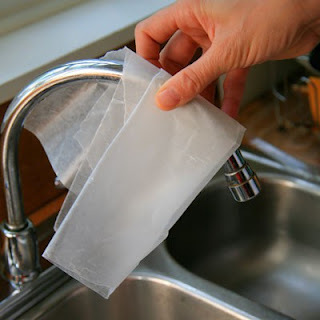 Rub a freshly-cleaned faucet with wax paper to avoid future water spots. 1/3 cu. baking soda, 1 cu. white vinegar, 1 plastic bag. 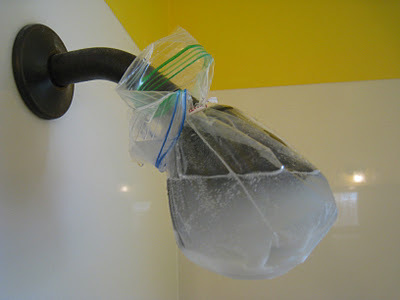 Mix, secure to shower head, let stand for 2-3 hrs. Water deposits and grime GONE! 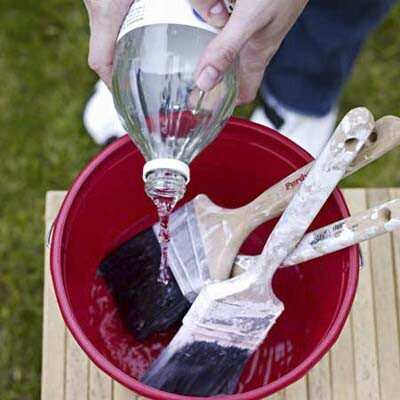 Soak crusty brushes in hot vinegar for 30 min. Wash with soapy water and let dry. Good as new! 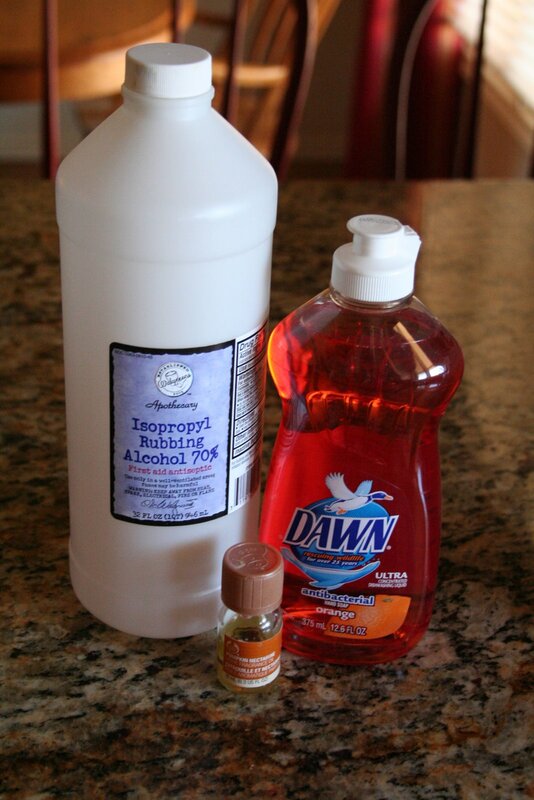 Fill a spray bottle 1/8th full with rubbing alcohol, add 1 drop of Dawn dish soap, and a couple drops of scented oil. Fill the remainder with water & shake. Makes great counter top cleaner! 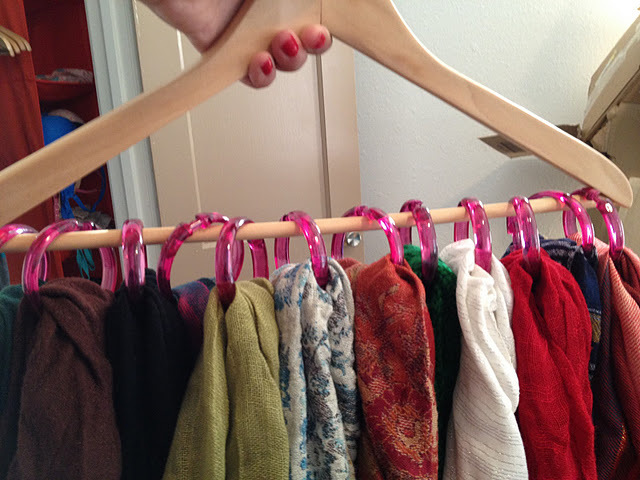 Separate and hang your scarves on one hangar with shower curtain rings! 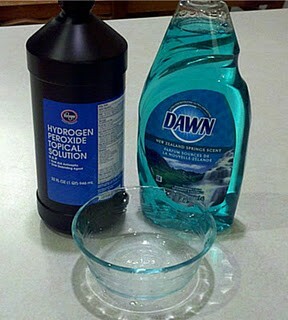 Mix one part Dawn dish soap with two parts hydrogen peroxide and some baking soda--pour on tough stains like wine, sweat, and dirt, rub in with laundry brush or toothbrush. Let stand for an hour. Stains should come right out. 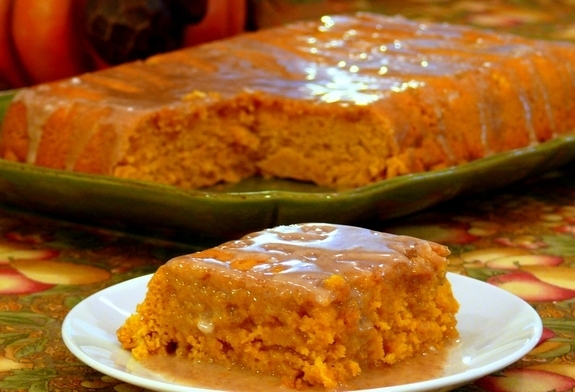 Two ingredient pumpkin cake with three ingredient apple glaze! What cool ideas have you found that you’d like to try? If you try any of mine before I do, let me know how everything turns out…I know from experience that sometimes these types of things are genius and sometimes they’re a total bust.